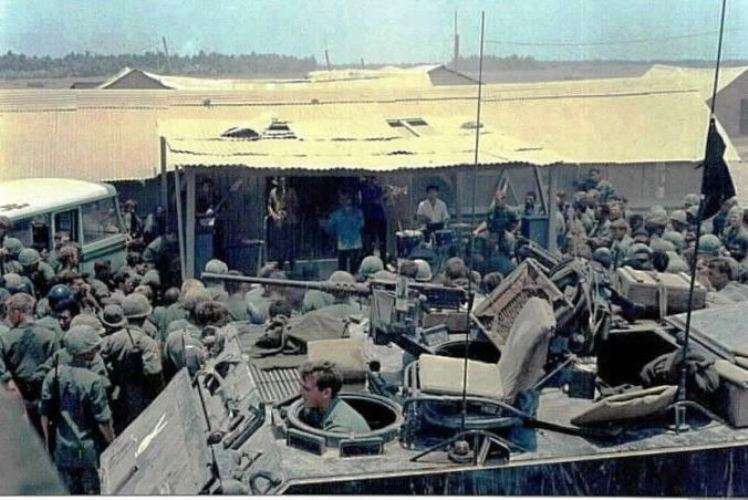 The 1st Battalion 16th Infantry arrived at Vung Tau, Viet Nam on 10 October 1965 with the 1st Brigade, 1st Infantry Division on the USNS Mann. 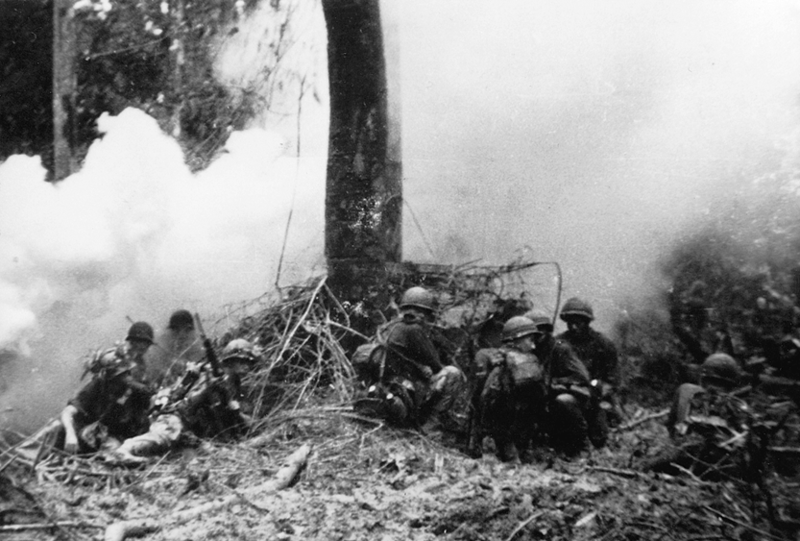 The 1st Rangers were initially stationed at Bien Hoa Air Base. 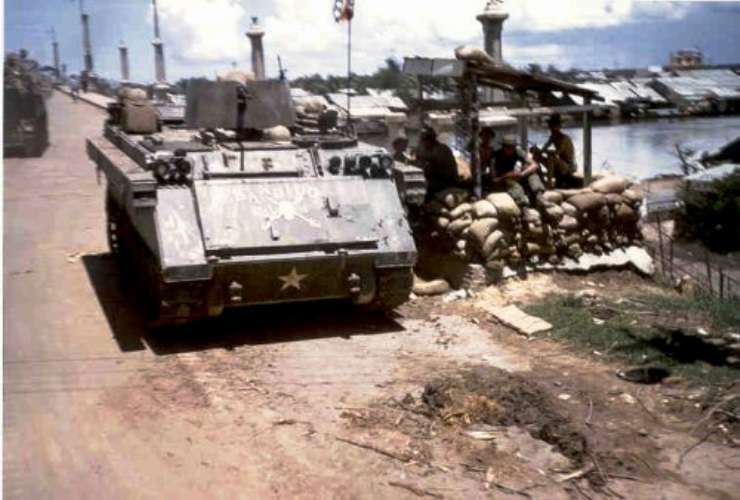 Operation BUSHMASTER I was the first major operation that the battalion was involved in. 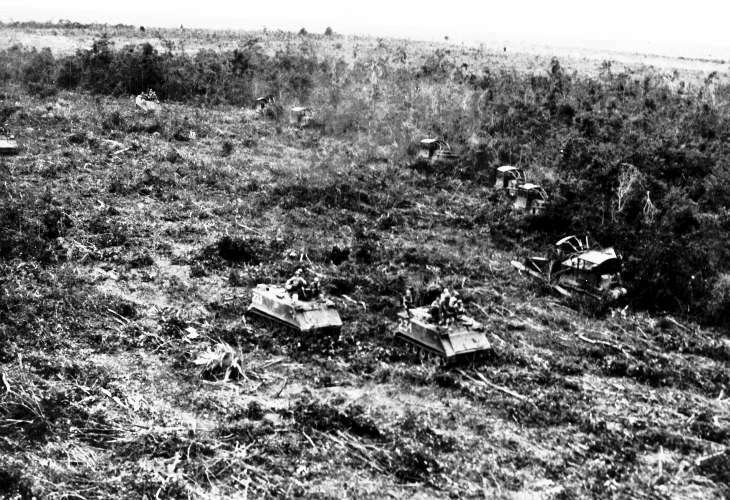 Its mission was to clear a zone along Highway 13 between Lai Khe and Ben Cat in Phouc Vinh province. 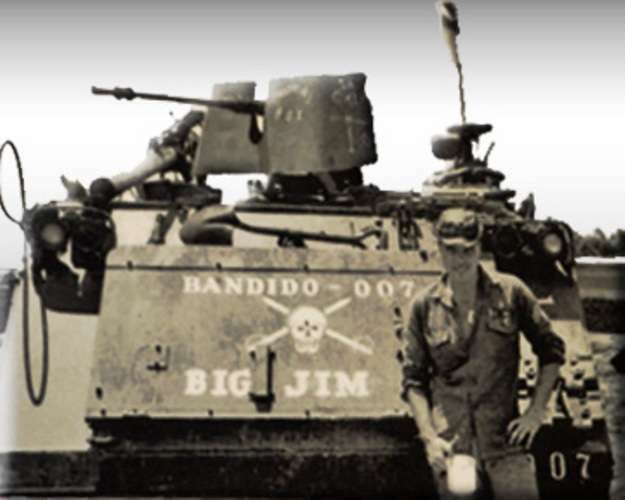 The unit also conducted numerous air assaults during BUSHMASTER and earned a reputation for flexibility, mobility, and aggressiveness. 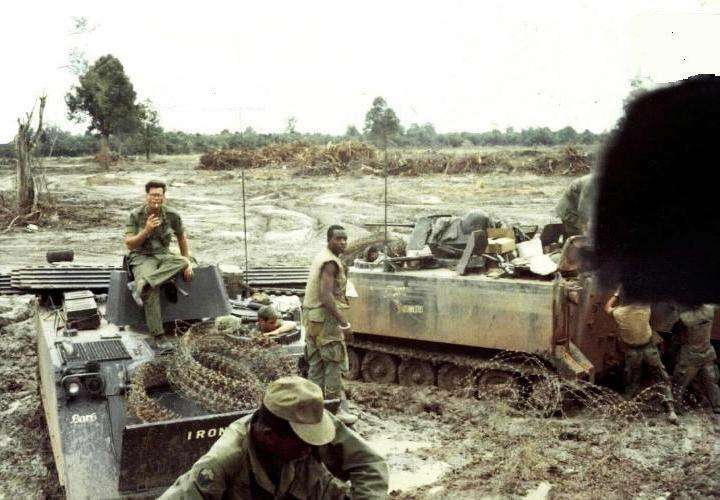 This was followed closely by BUSH MASTER II and the battalion’s mission changed to “search and destroy.” Operations centered around the Michelin Rubber Plantation, an area with which the battalion would become intimately familiar over the next four years. 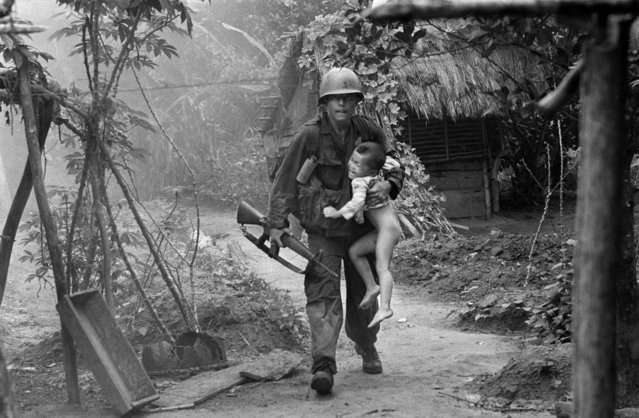 In the first two months of operations, the battalion had killed or captured over 1,600 NVA or VC soldiers. 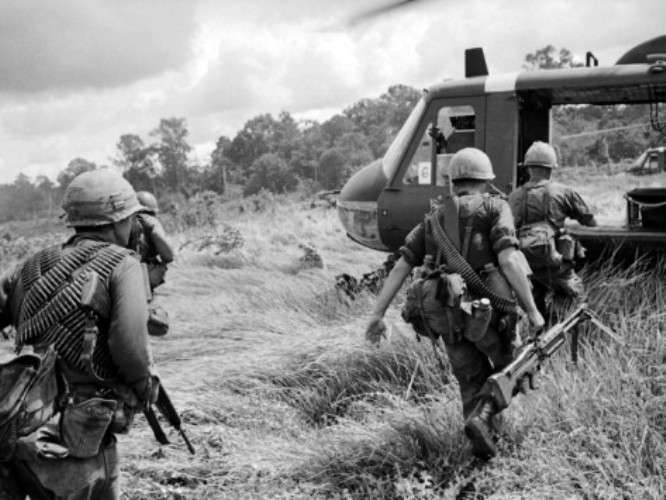 In January 1967, the 1st Battalion participated in Operation CEDAR FALLS. 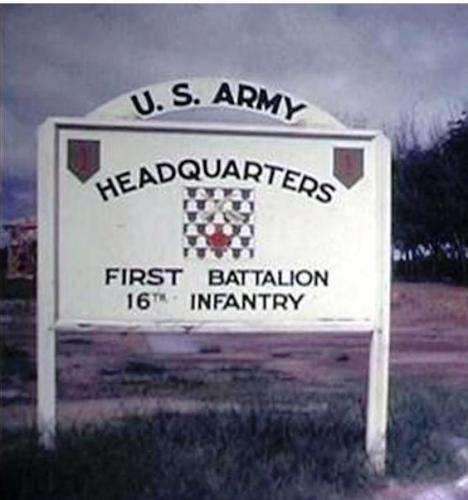 This operation was a joint effort by the 1st and 25th Infantry Divisions, the 173rd Airborne Brigade and the 11th ACR to imposed severe casualties on VC units in Military Region 4, the “Iron Triangle.” This was followed by Operations TUCSON in February, BILLINGS in June, and SHENANDOAH in October. 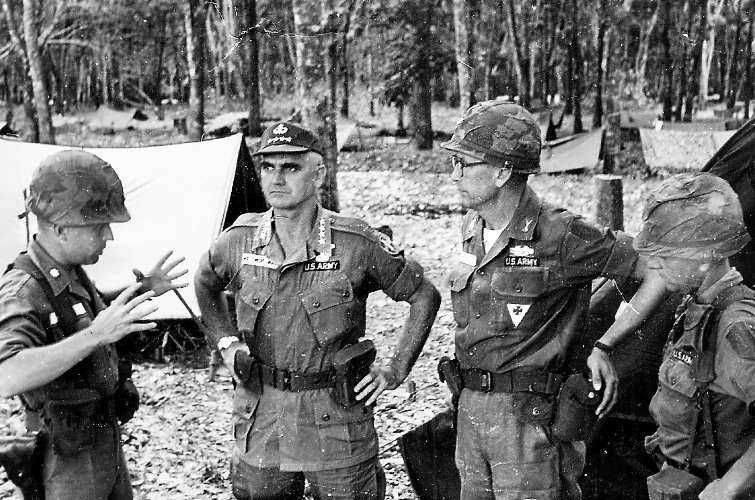 In 1969, the “Iron Rangers” were involved the Vietnamization process, yet combat in and around areas like the Iron Triangle, Michelin Rubber Plantation, the Catcher’s Mitt, Ben Cat and Lai Khe, and participation in Operations BEAR TRAP, FRIENDSHIP, KENTUCKY COUGAR, IRON DANGER, and TOAN THANG IV accounted for an additional 426 enemy soldiers killed or captured. 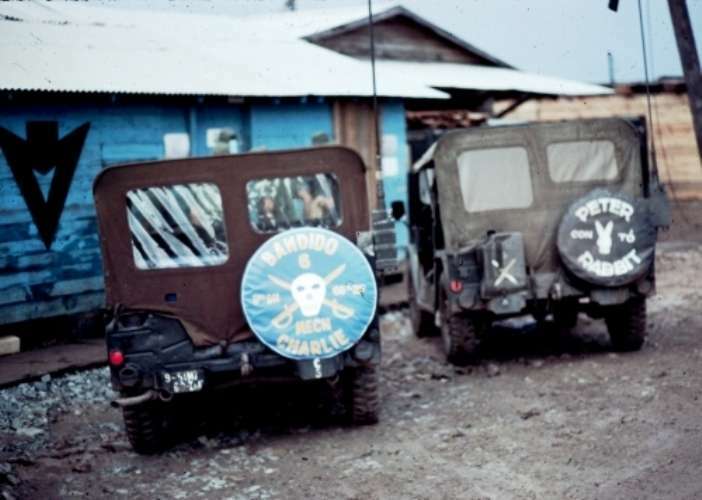 Ambush patrols and the sealing off of villages characterized operations during the year. 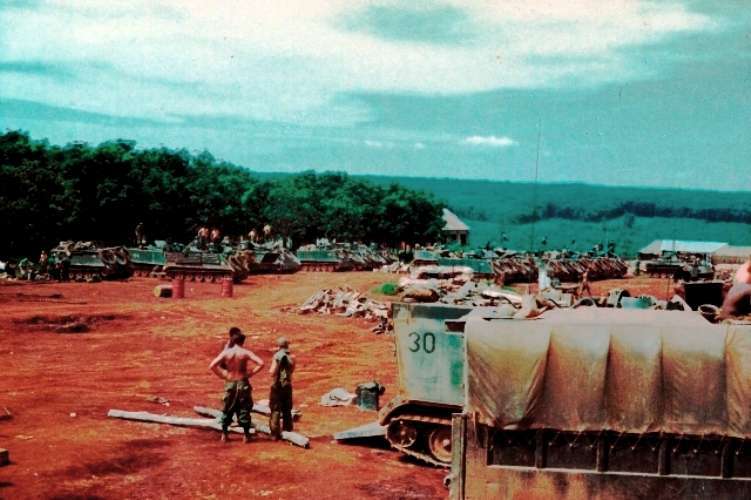 The last four months in Viet Nam saw the battalion working closely with its ARVN counterparts as it concurrently prepared to redeploy to Fort Riley. 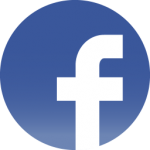 Combat activity did not abate, however, as the “Iron Rangers” conducted 690 ambush patrols in January, and 803 in February. 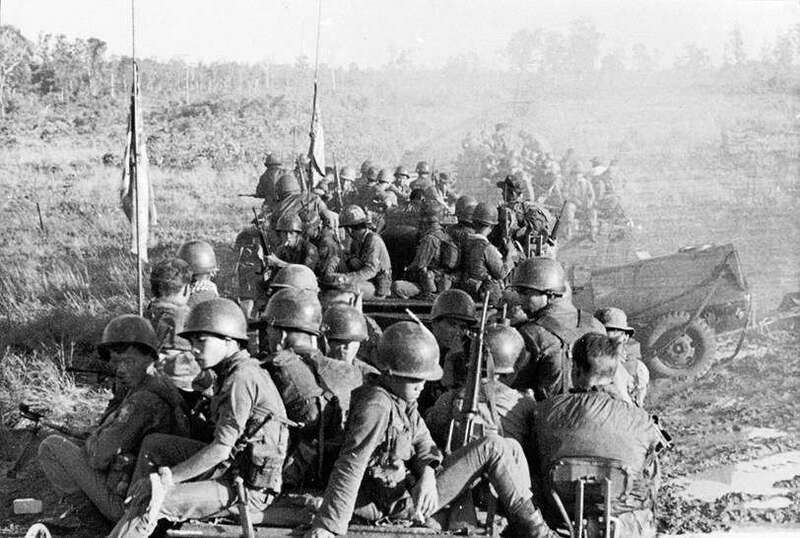 March 3, 1970 saw the cessation of combat activities in the Republic of Viet Nam for the 1st Battalion, 16th Infantry. 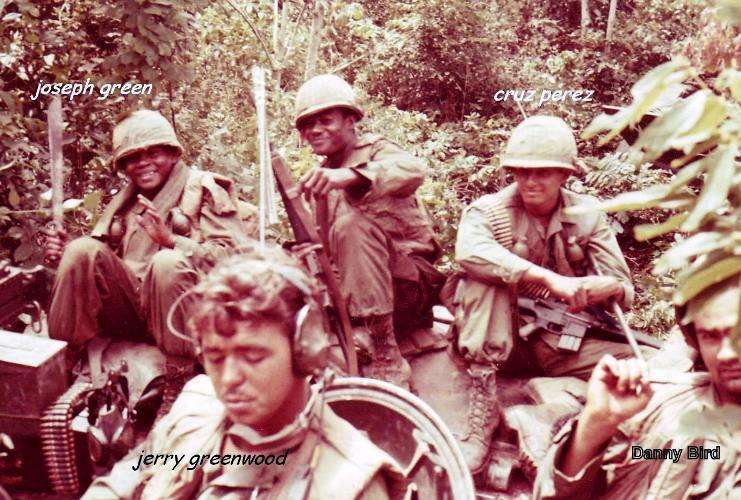 The battalion stood down and headed for its new assignment in Germany. 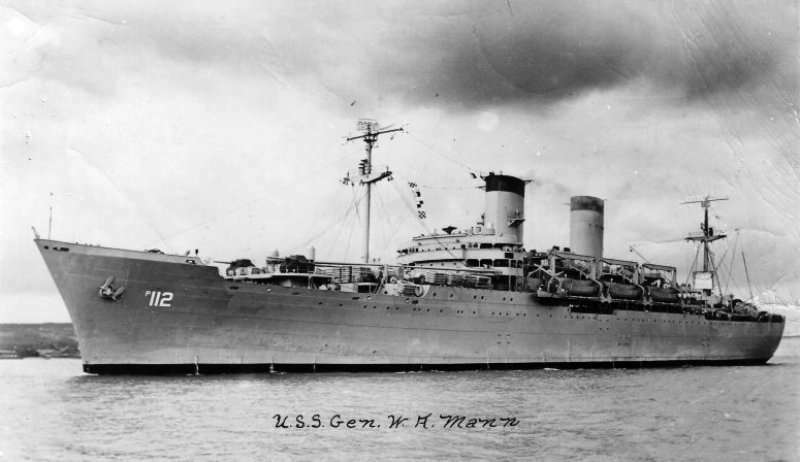 The 1st Battalion arrived at Vung Tau, Vietnam on 9 October 1965 on the USNS W. A. Mann. 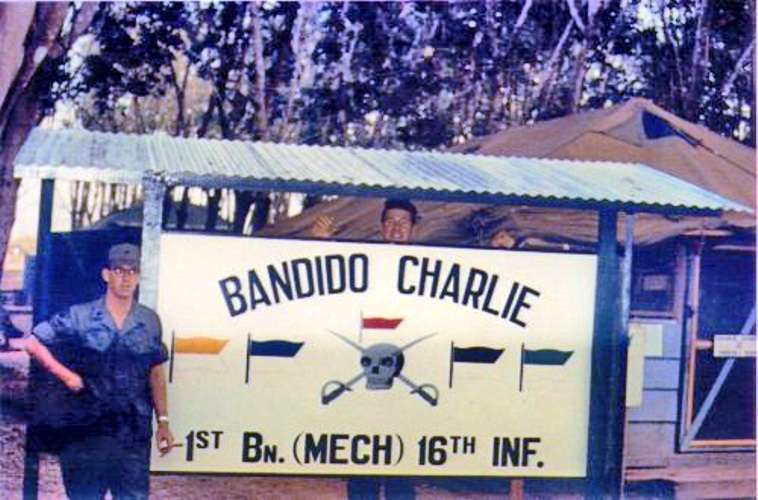 The 1st Battalion HQ sign at its home base at Lai Khe circa 1967. 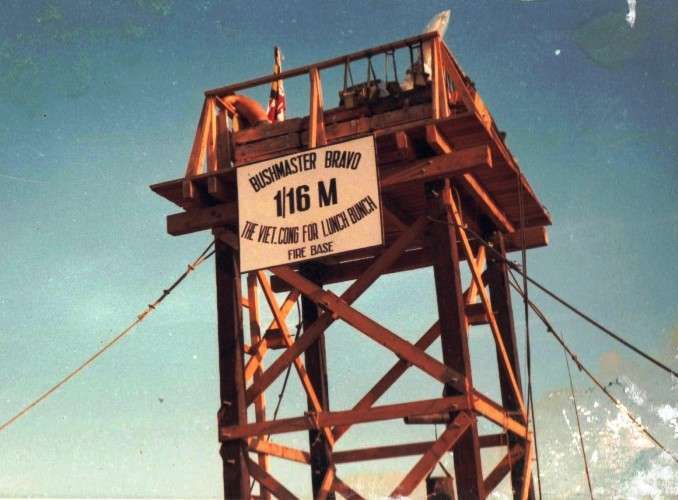 The other side of the sign. 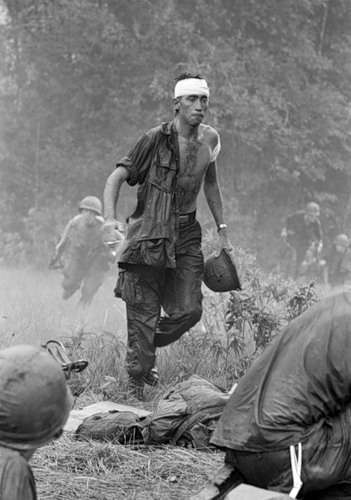 A wounded soldier from 1-16 IN heads for the medevac chopper during a lull in the action in 1966. A machine gun team from A/1-16 IN on patrol near Suoi Da during Operation Junction City, 5 February 1967. 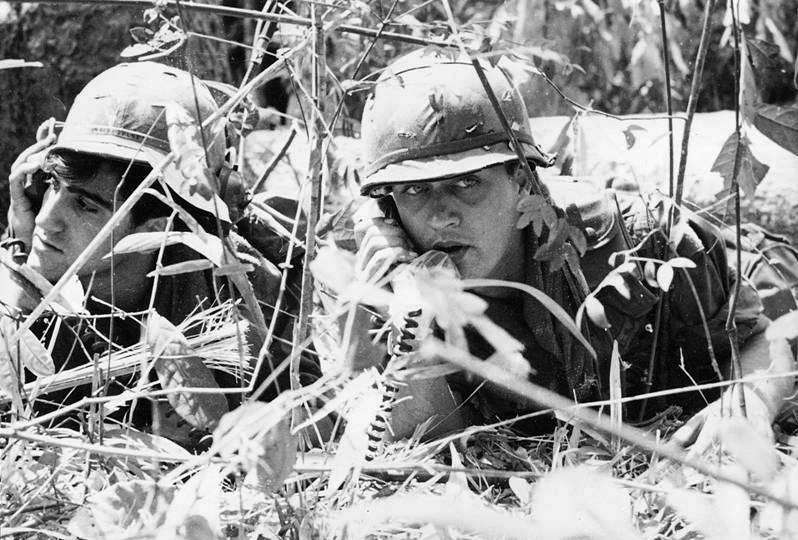 1LT Edward Christianson calls for fire during Operation Junction City, 5 March 1967. 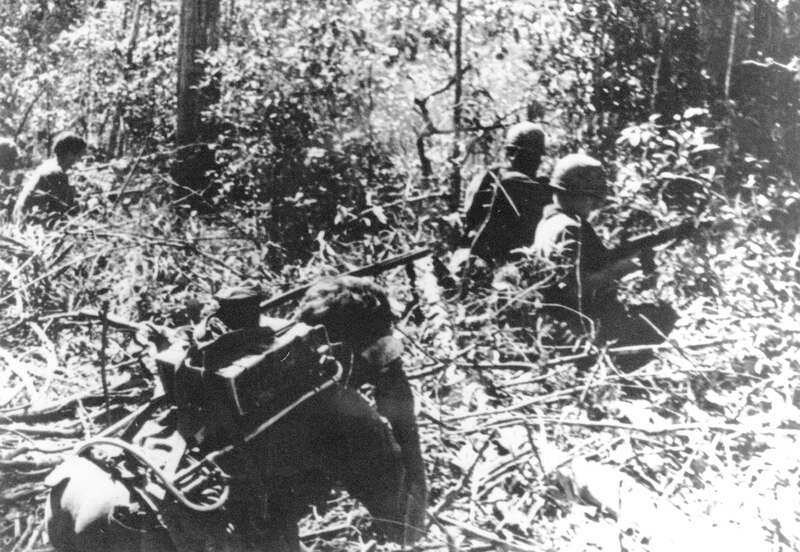 Rangers of the 1st Battalion pinned down in a firefight north of Phuoc Binh during Operation Billngs, mark their position with smoke, 15 June 1967. 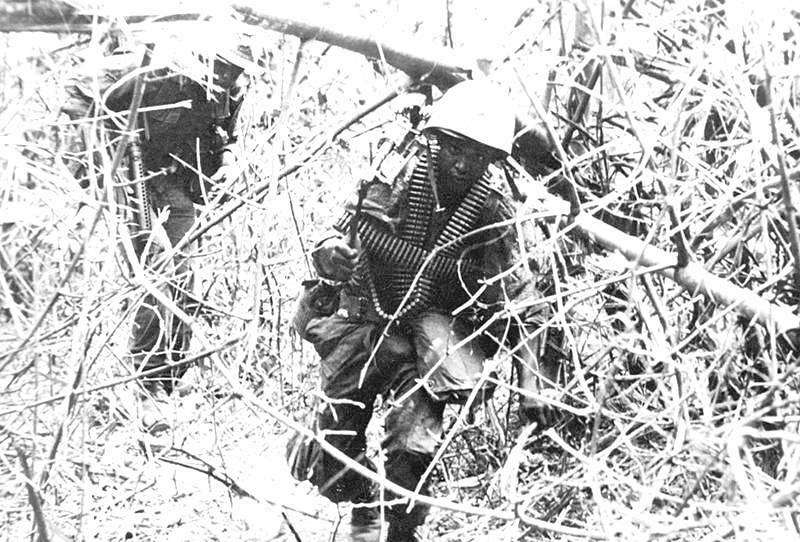 Soldiers of 1-16 IN on a search and Destroy mission, circa 1967. 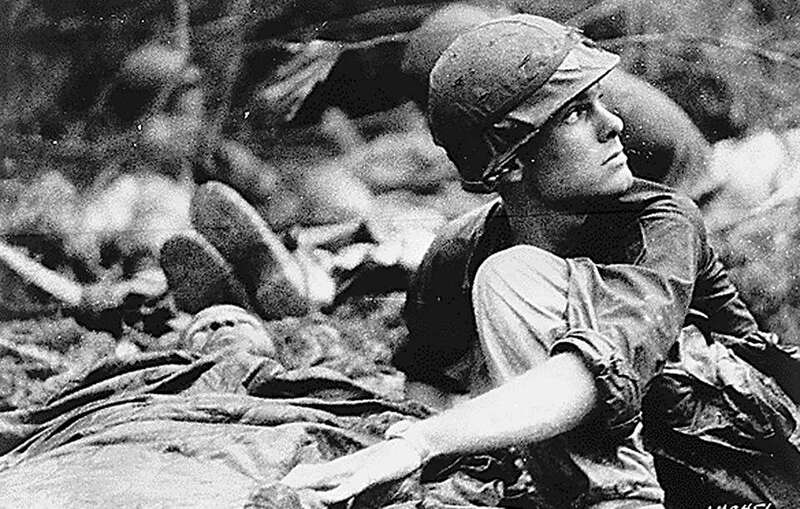 1-16 IN soldiers on a search and destroy mission. 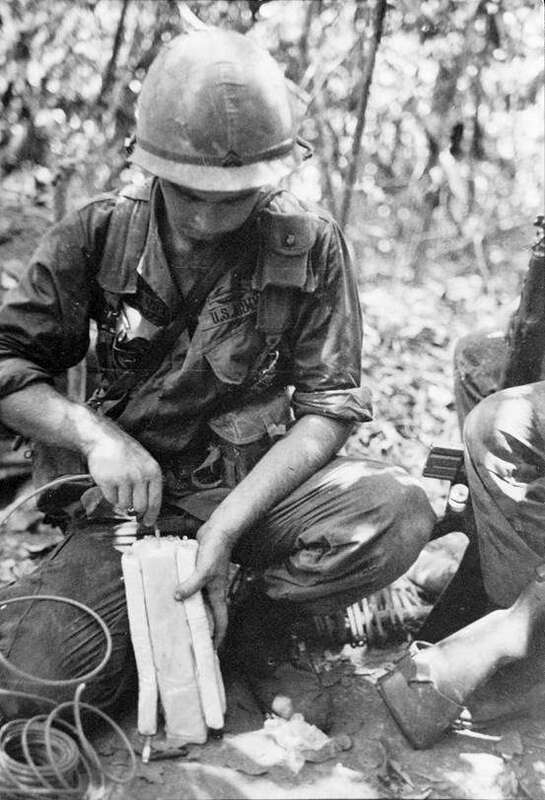 SGT Jerry McDonald, HHC, 1-16 IN prepares a C4 charge to blow up VC Bunkers near Soui Da 17 May 1968. 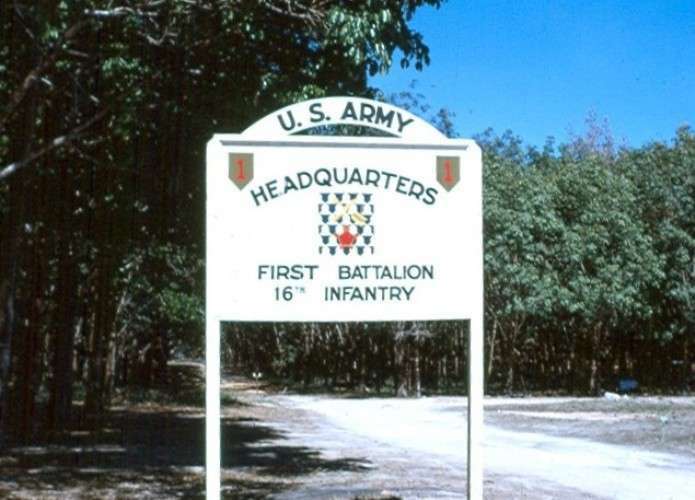 In 1968, 1-16 IN became one of two mechanized infantry battalions assigned to the 1st Infantry Division. 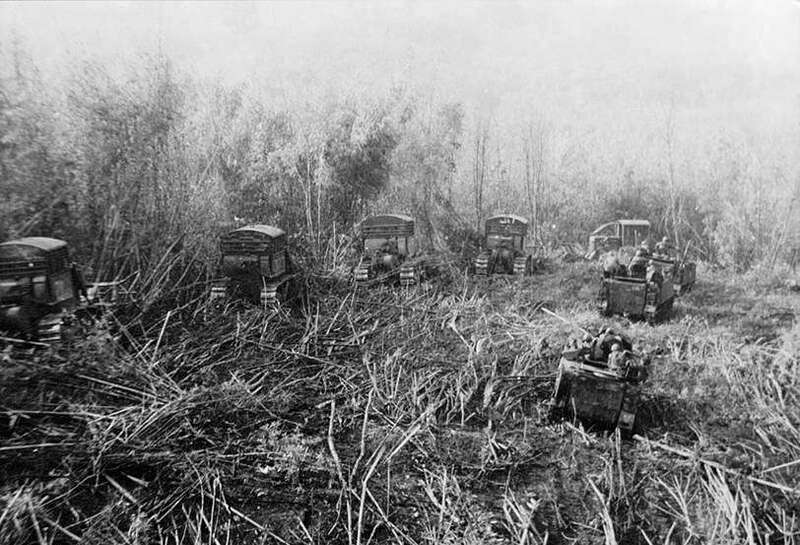 Troops of B/1-16 IN load concertina wire on their tracks to move it to another location. 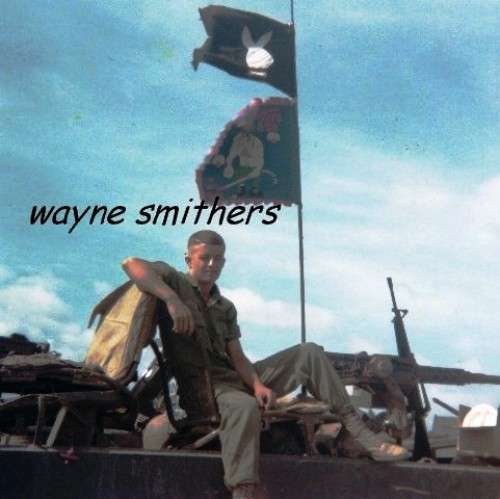 PVT Wayne Smithers of B/1-16 IN. 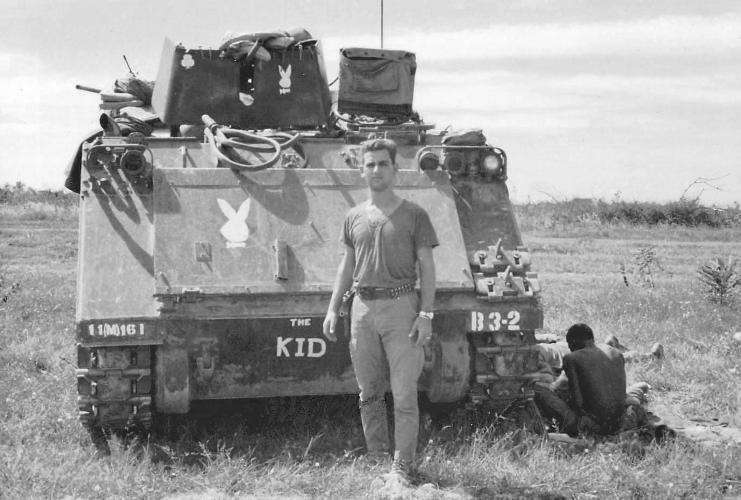 Note the Bunny Platoon guidon. 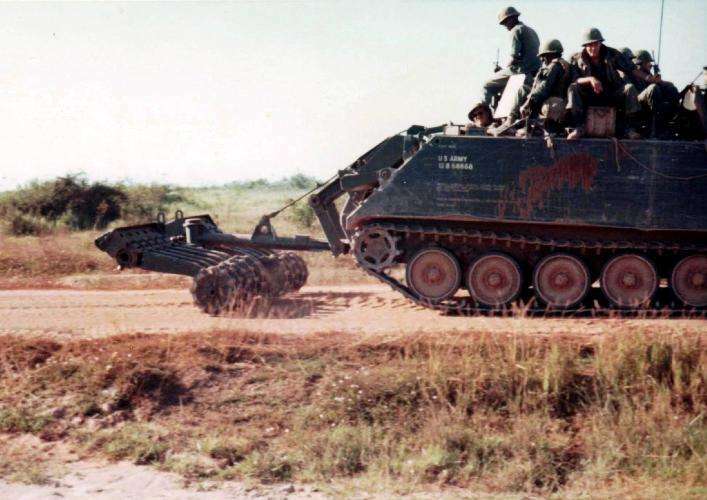 A mine roller mounted on an APC of B Company,1st Battalion, prepares to clear a route through enemy territory, circa 1968. 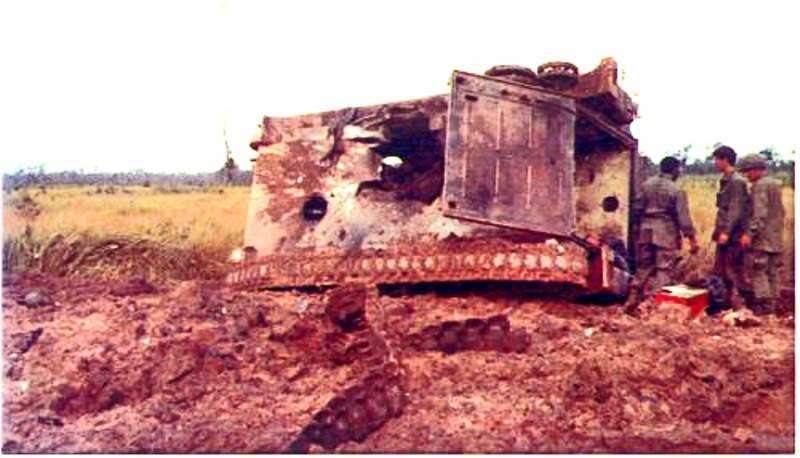 A close-up view of the mine roller. 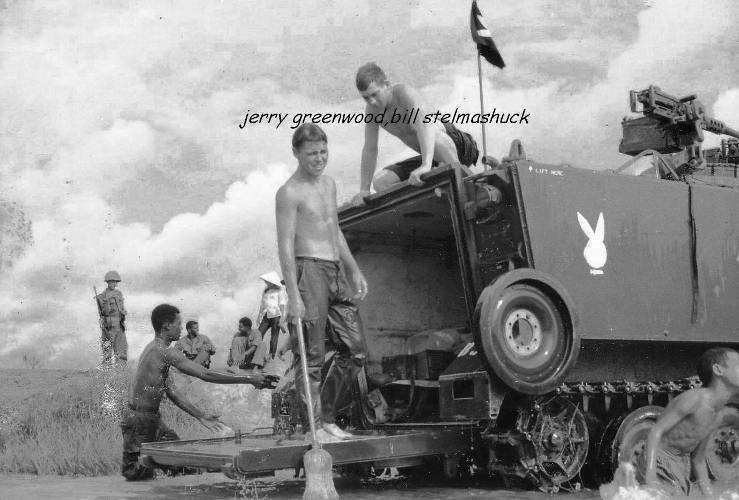 Cleaning day on a Bunny Platoon track. 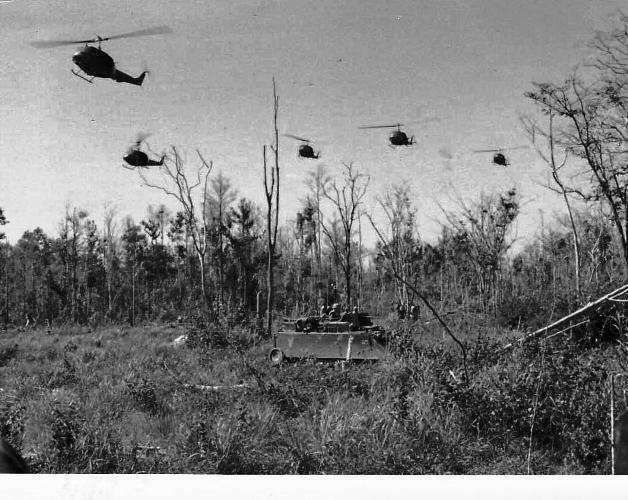 The tracks of B/1-16 IN provide ground cover for an air assault somwhere in War Zone C, 1968. 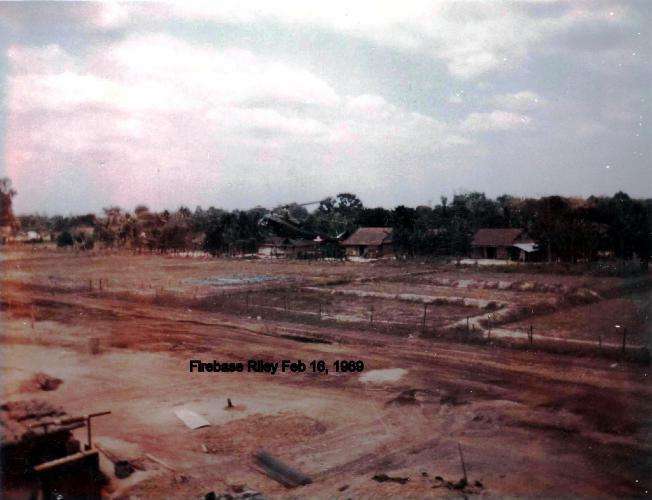 Fire Support Base Riley landing strip, 16 February 1969. A view of a short stretch of Highway 13 near Ben Cat. 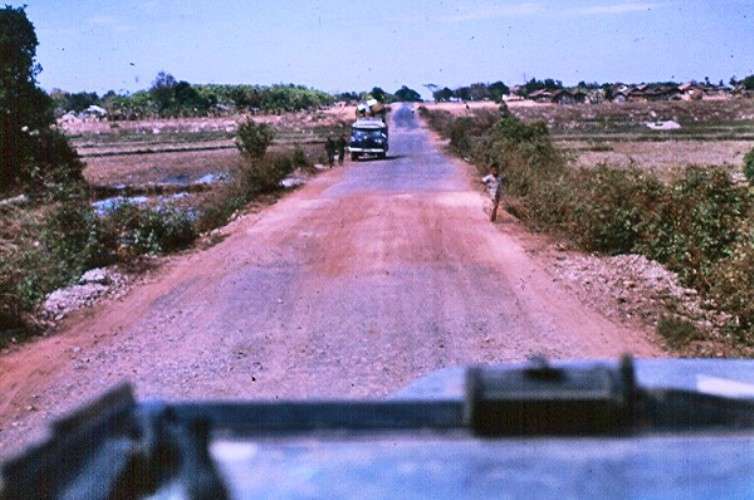 Highway 13 was the main thruway from areas east of Saigon up to Song Be in War Zone C.
The company commanders’ jeeps for “Peter Rabbit” (B/1-16 IN) (R) and Bandido Charlie (C/1-16 IN) (L). 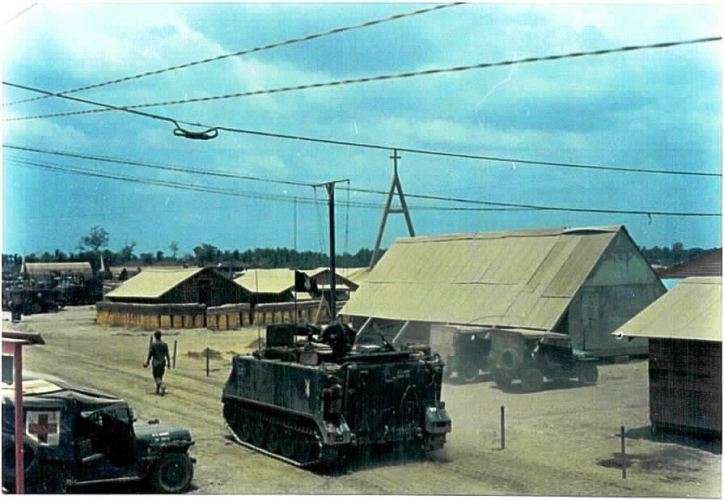 A C/1-16 IN squad on control point duty watches over a bridge. 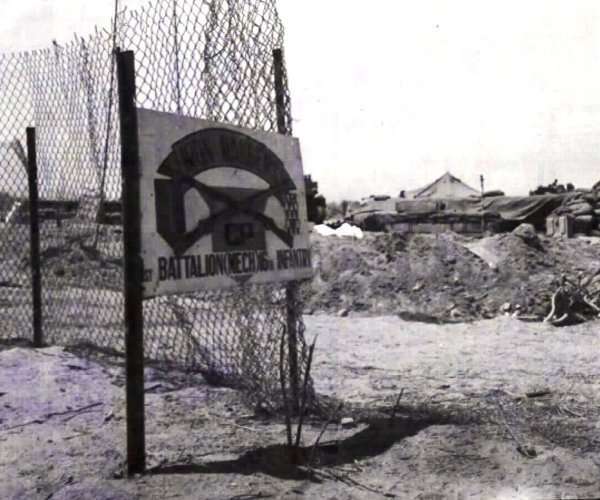 One of Bandido Charlie’s tracks destroyed by a VC road mine, 1968. 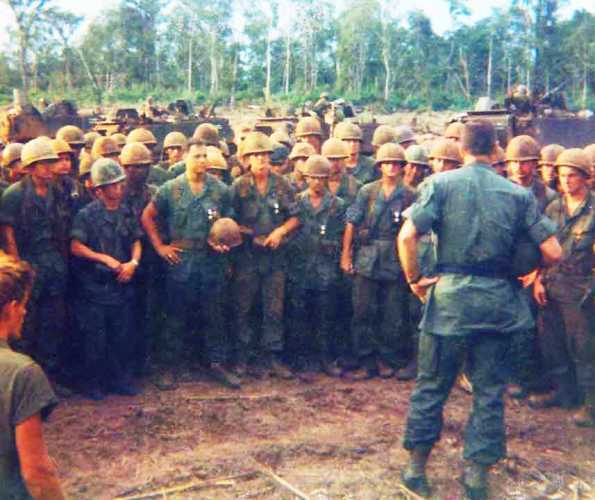 BG George Casey talks with the men of C/1-16 IN at FSB Allons II, 21 August 1969. 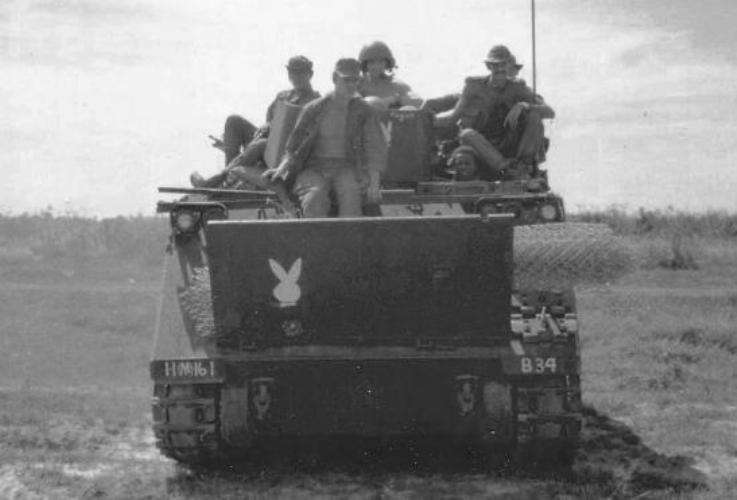 APCs for the 1-16 IN provide security for Rome Plows 10 May 1969. 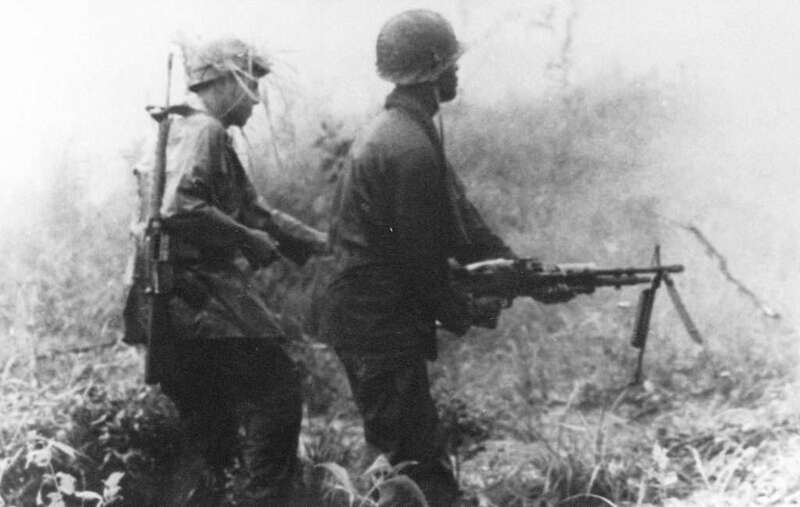 The Iron Rangers spent two months clearing the Song Be Road in this fashion from Dong Xoi to Song Be. 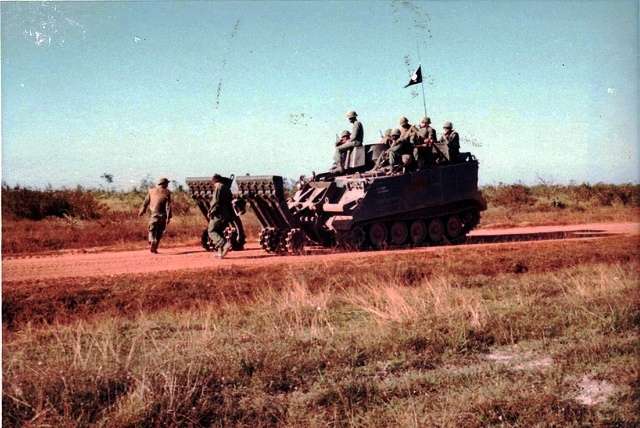 Soldiers of the 5th ARVN Division riding the APCs of C/1-16 IN near FSB Allons II in 1969. This image gives one a view of the extent of the Rome Plow operations. 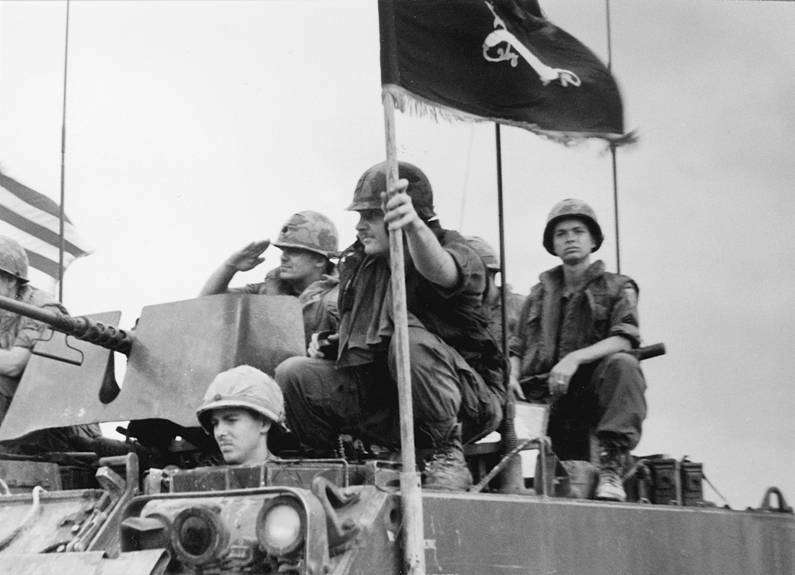 LTC David Martin, commander of 1-16 IN, leads the Iron Rangers out of Fire Support Base Dakota en route to Fort Riley, KS, 4 March 1970.